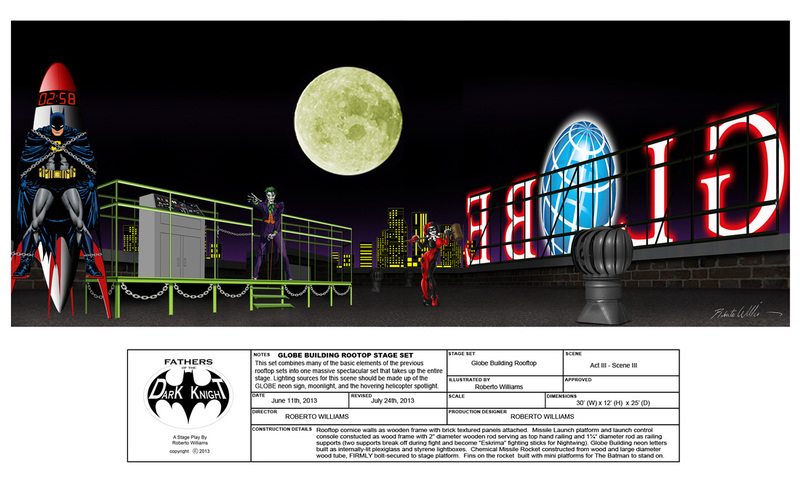 The rooftop of Gotham's Globe Building serves as the location for the spectacular Grand Finale of "Fathers Of The Dark Knight". It is here that The Joker, Harley Quinn and their cohorts have their final confrontation with The Batman and his allies! This stage set will feature some of the most impressive set pieces in the entire production.